With friend Sam by her side, she travels to an alien world where she must defend herself against her growing number of enemies. Can she find a secret book that contains the genuine facts about her ancestry—whatever that may be! Paperback is available in all good bookstores such as Amazon, Barnes and Noble, Book Depository and Foyles UK and many more bookstores. If you would like to buy a print copy direct from me email me at wexkia@gmail.com. 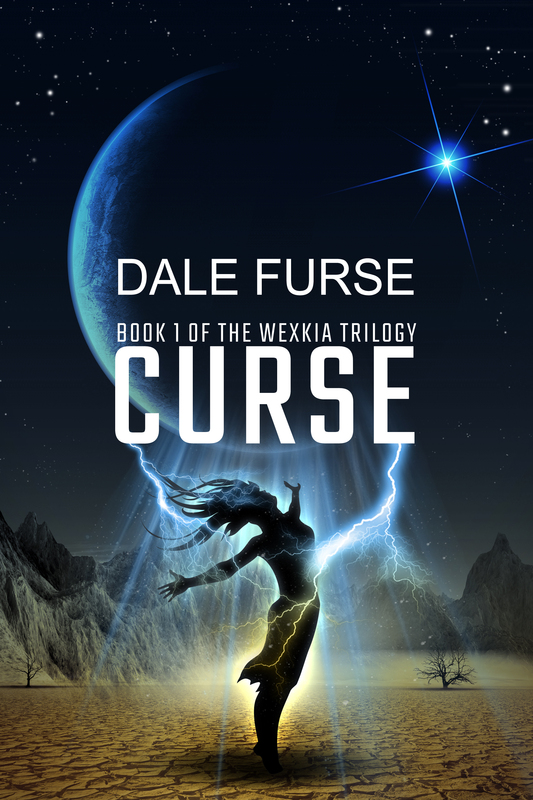 In the sequel to Curse (Book 1 of the Wexkia trilogy), Nell wants to discover who was responsible for the extinction of her ancestors. She thinks the incarcerated Shahs, another child of Wexkia, may have the answer. However, her family forbids it. They declare that Shahs murdered Kandar’s mother. But a Corl Elder suggests a second copy of the Book of Wexkia might be on Corl, Linque or Gramlax. Now Nell must embark on two quests she must fight to complete. 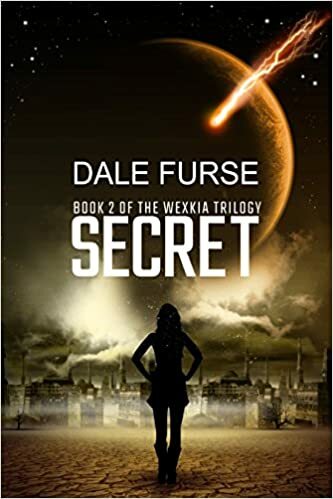 With Sam and Mekie by her side and surrounded by enemies who still want her dead, she travels to three worlds to find the answers to her endless questions. Will the risks she takes to unlock the secret of her origins and expose the true adversary plunge an entire race into despair? 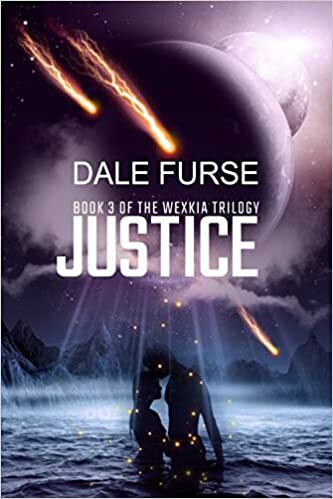 Using her vivid imagination, author Dale Furse, once again transports us to a world of bizarre beings and fantastic scenery. In the final installment of the fast-paced SciFi/Fantasy trilogy, Nell has more mounting questions she wants answered. Nell always felt safe on Earth, but when aliens attack, she must defend her family and her home. She needs to learn to use all her wexkian talents and quickly gain more if she is to win. She soon learns that virulent infectious disease has been unleashed. Can she prevail before she too succumbs to the fatal sickness. Nell must engage in the bloodiest of battles to save not only her extended family, but an entire alien race. Will she be willing to pay the price for victory? Busted finished the curse. Different than expected but enjoyed it much. Would recommend.